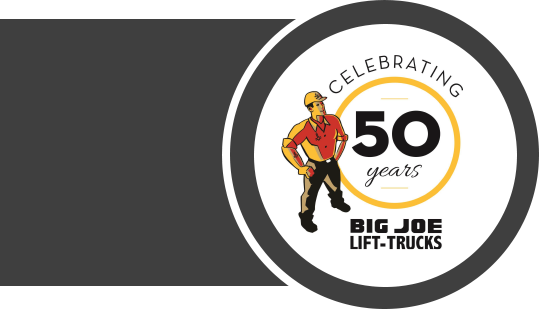 Big Joe Lift Trucks Inc. - California's Largest Distributor. Offering you a wide range of warehouse and material handling equipment for over fifty years! From pallet jacks to straddle stackers to forklifts to pallet racking and shelving, Big Joe Lift Trucks Inc. can offer you the solutions you have been looking for for your company. We emphasize reducing worker strain while improving worker efficiency. Parts, service, rentals and repairs are services we provide in addition to a full-line of material handling products. Let us find your solutions today! Here at Big Joe, we pride ourselves on serving you with a quality product. Your Big Joe branded product is manufactured to high standards and should serve your company well for many years. Find out more about Big Joe Trukcs Inc.
© 2018 BIG JOE LIFT TRUCKS INC.
Not all equipment available in all locations.